The Lamar D. Fain College of Fine Arts encompasses programs in art, mass communication, music, and theatre. The primary purpose of the college is to equip students with the knowledge and skills necessary to pursue careers in these disciplines. To accomplish this purpose, emphasis is placed on applying classroom learning to process and performance. The college prides itself on ensuring that its students do what they study: in its art studios, in its newspaper and television laboratories, and in its concerts, recitals, and dramatic productions. Moreover, the college is committed to offering individualized instruction in functional, safe, modern surroundings. Because the college's offerings are devoted solely to undergraduate programs, because its faculty members are committed to effective teaching, and because the ratio of full-time faculty members to fine arts majors is low, students are assured frequent, high-quality contact with their instructors. The quality of instruction is enhanced by the faculty's desire to serve as role models for students through their research and creative endeavors. Frequently these endeavors directly involve students, thus vitalizing their educational experiences. Besides providing knowledge and training that will qualify students for jobs, graduate study, or professional school, the college strives to help students develop aesthetic sensibility, cultural awareness, and social responsibility. Not only are students taught to create within their disciplines, but also they are challenged to evaluate the quality of what they have created, to assess the effect of their creations on the wider culture, and to aspire to professionalism and excellence. The goal is to empower students to use their talents to enrich and advance society. Thus, the Lamar D. Fain College of Fine Arts adopts a twofold mission designed to produce graduates who are both competent professionals and sensitive, tolerant, reliable, constructive citizens. In addition to the above majors, the college offers minors in art, art history, digital media, journalism, mass communication, public relations and advertising, and theatre. To earn a degree, all students must also complete the university's general core curriculum requirements. 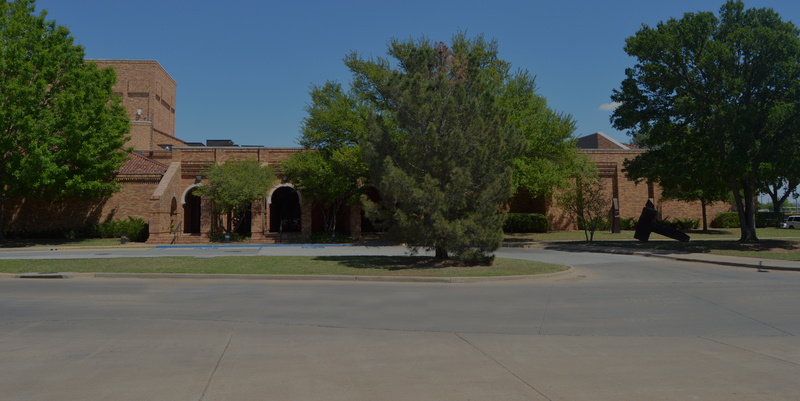 Midwestern State University is strongly committed to providing attractive, serviceable fine arts facilities. The theatre wing of the Fain Fine Arts Center includes the 475-seat Fain Fine Arts Center Theatre and the flexibly-designed Bea Wood Studio Theatre. The art wing features spacious, meticulously maintained studios that ensure working environments conducive to creativity and achievement. Moreover, the Juanita Harvey Art Gallery is continually active. In addition to exhibits by MSU students and faculty, the gallery annually hosts professional artists from across the nation via the O'Donnell Visiting Artist Program. The mass communication wing features a television production studio that airs programs on Time Warner Cable. Construction of the new mass communication wing has been completed, and facilities have been renovated to provide additional instructional spaces for the art and music programs. Throughout the Fain College of Fine Arts, equipment is continually added, replaced, or upgraded. New equipment is regularly purchased for all the art studios (ceramics, graphic design, metalsmithing, painting, photography, printmaking, and sculpture). The MSU2 Television Studio utilizes a digitized production system, and The Wichitan, MSU's weekly newspaper, is equipped for full-color desktop publishing. Two mass communication computer laboratories afford applications for journalism, broadcast, and digital media. The new mass communication wing became available to mass communication students in August of 2017. The Fain Instrumental Music Hall contains a vast rehearsal space, and the 422-seat Akin Auditorium is used for recitals and concerts by music students and faculty. Theatrical equipment includes a laboratory for computer-assisted design of sound, lighting, costumes, and scenery.